Heavy impact is transformed into a light, natural run with the On Women's Cloudcruiser. Built for all types of runner seeking ultimate cushioning and support, this shoe allows you to build endurance, training on and off the road. 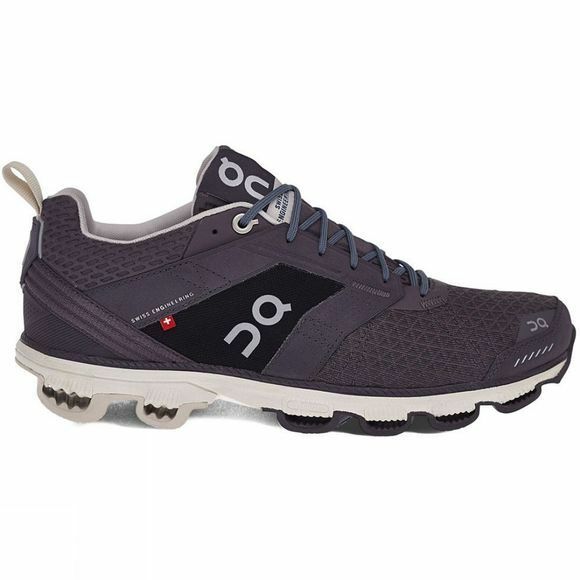 Specifications: Shoe Category: Stability Ideal Use: Road Running Weight: Approx. 270 grams Glossary: CloudTec system: Absorbs vertical and horizontal impacts. 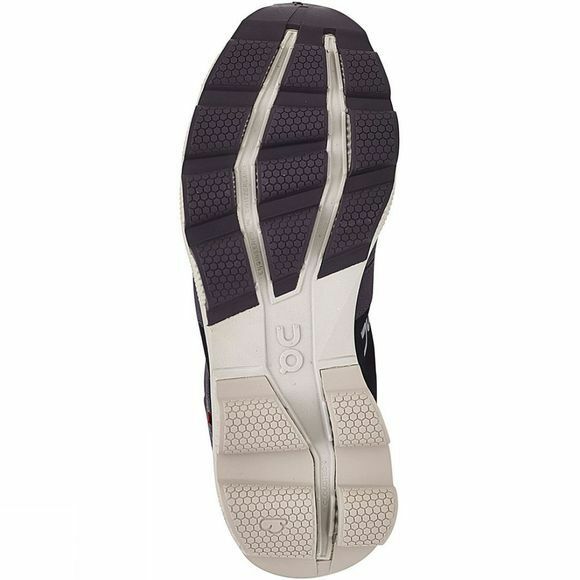 Foot flat: The Integrated Transition Bridge transfers impact force into forward momentum. Push off: Once fully compressed, the Cloud- Tec elements allow for a firm push-off.